Get Organized... Get Space Bag! 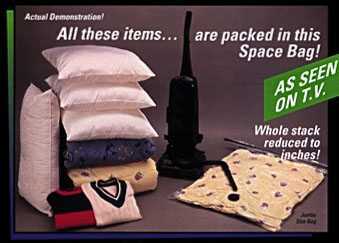 Now you can pack for a vacation or a business trip in a quarter of the space it used to take -- and you don't need to borrow a hotel vacuum cleaner! 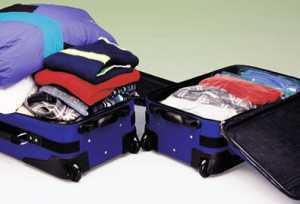 Travel Genie, the newest innovation from Space Bag, reduces the volume of clothing, bedding and other soft travel articles by up to 75%. That means you can pack more or travel lighter, it's up to you.